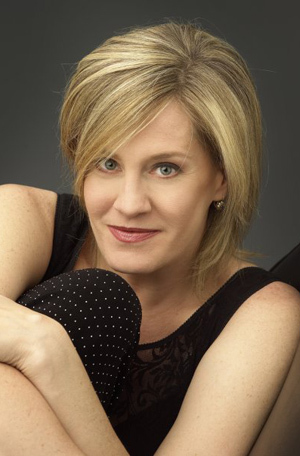 Dramatic soprano Jeanne-Michèle Charbonnet has established herself as a leading force in the German and contemporary repertoires. Having begun her singing Italian and ‘spinto’ Russian roles, she has naturally progressed into the more dramatic German soprano – and more recently ‘Zwischenfach’ – repertoire. Her intense stage presence has been widely praised by critics, with the New York Times proclaiming her a ‘spine-chillingly powerful’ performer. Recent performances include the title role of Ariane et Barbe-bleue for Opéra National du Rhin in Strasbourg. Future engagements include Herodias for the Deutsche Oper Berlin in a new production conducted by Maestro Runnicles, and she will repeat the role for the Grand Théâtre de Luxembourg. Recent highlights include the 2012 release as the title role in Strauss’ Elektra with the London Symphony Orchestra and Maestro Valery Gergiev; the title role of Ariane et Barbe-bleue in Barcelona and Dijon; Judith in Bluebeard’s Castle for Nantes, Angers, and Paris; Leonore in Fidelio at the Teatro San Carlo; Katerina Izmailova in Lady Macbeth of Mtsensk for the Florence May Festival and Teatro Municipal Santiago; Goneril in King Lear for Frankfurt, Elektra for Deutsche Oper Berlin, Edinburgh International Festival, and LSO under Maestro Valery Gergiev; and Cassandre in Les Troyens for Opéra National de Paris. Charbonnet’s concert repertoire includes Schoenberg’s Erwartung with Jukka-Pekka Saraste in Cologne, and Janáček’s Glagolitic Mass with Pierre Boulez at the BBC Proms. 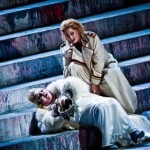 Engagements in the 2013-14 season included role debuts as Kostelnička in Jenůfa for La Monnaie, Brussels, and the Mother in Il Prigioniero in Barcelona, as well as Erwartung with Susanna Mälkki in Amsterdam. Looking further ahead, Charbonnet will add roles to her repertoire including Klytemnestra in Elektra, and Amneris in Aida.